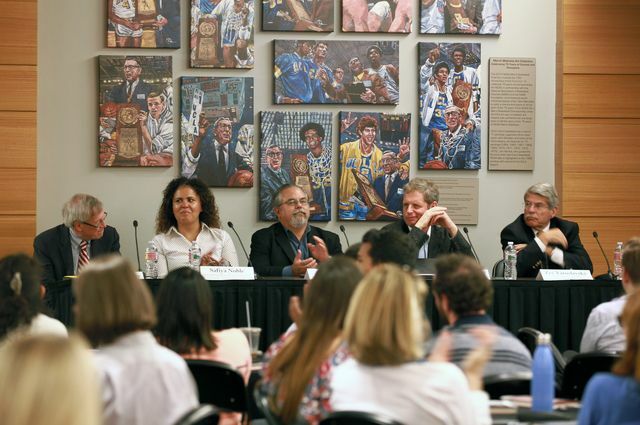 Erwin Chemerinsky, Safiya Noble, Gary Segura, Eugene Volokh and Zev Yaroslavsky had a vigorous debate about free speech. When it comes to free speech on college campuses, a panel of constitutional law experts, social scientists and a former longtime elected official had a difficult time even agreeing on the point of the argument, let alone agreeing on a solution that would satisfy the First Amendment’s strongest legal defenders and people who have been historically oppressed by the exercise of speech. But that failure to reach consensus was kind of the point. Presented by the UCLA Office of Equity, Diversity and Inclusion as part of UCLA Free Speech week, “Campus Speech: A right to speak? A duty to listen? An obligation to learn?” was intended to bring together different viewpoints and demonstrate how debate that traffics in the messy intersections of legal precision and systemic trauma and oppression can still occur within the bounds of civil discourse. 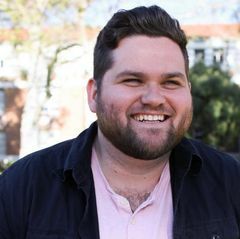 “How we think about free speech with — and institutional governance of — the university is really, really hard,” said Devon Carbado, professor of law at UCLA and associate vice chancellor of BruinX, which is part of the office of equity, diversity and inclusion, in his opening remarks to the audience of some 200 students, faculty and staff gathered in the Pauley Pavilion Club on Oct. 18. 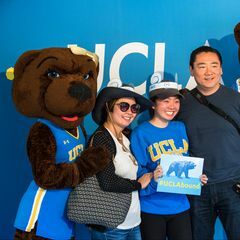 Carbado and fellow law professor Jerry Kang, who is UCLA’s vice chancellor of equity, diversity and inclusion, moderated the panel. Participants included Erwin Chemerinsky, dean of UC Berkeley’s law school; Eugene Volokh, UCLA law professor; Safiya Noble, assistant professor of communication at USC; Gary Segura, dean of the UCLA Luskin School of Public Affairs; and Zev Yaroslavsky, director of the Los Angeles Initiative at UCLA and former member of the Los Angeles County Board of Supervisors and the L.A. City Council. Chemerinsky, who co-authored a new book called “Free Speech on Campus,” with UC Irvine Chancellor Howard Gillman, led off the two-hour discussion with a brief history of free speech on college campuses. He talked about the origins of the Free Speech movement at UC Berkeley in the 1960s, shared that a recent Pew survey revealed 40 percent of college students favor prohibiting hate speech, and noted how the discussion about free speech is often muddied by confusion between what the law says and what people think it ought to be. He also shared that in the run up to UC Berkeley’s since-canceled Free Speech week, a professor told Chancellor Carol Crist during a faculty panel that speakers like Milo Yiannopoulos should be banned. 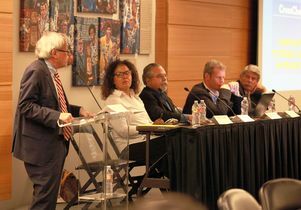 Erwin Chemerinsky, dean of the UC Berkeley School of Law, addresses the crowd at a free speech panel discussion at UCLA. Denying an “alt-right” firebrand who espouses racism the right to speak turns that person into a martyr and the speaker would still appear anyway because the courts would grant an injunction allowing the appearance, as happened at Auburn University when it tried to prevent white supremacist Richard Spencer from speaking, Chemerinsky noted. “No one applauded when I said that,” Chemerinsky said before launching into a quick explanation of what speech is not protected by the First Amendment — speech that incites violence, true threats and harassment directed at a specific person. 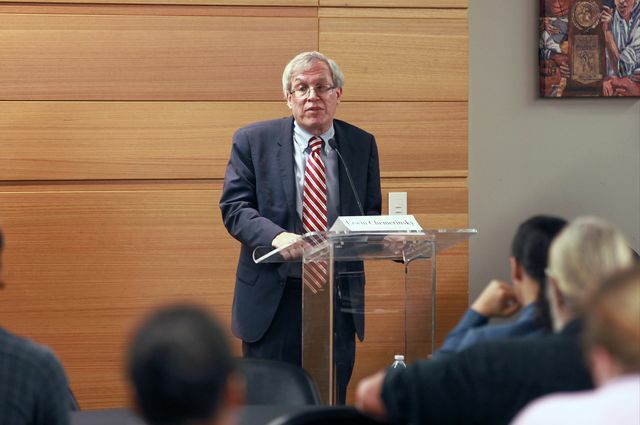 Chemerinsky noted that in the 1990s more than 350 American colleges adopted hate speech codes and every one that was challenged in court was overturned, because it was too difficult to define “hate speech” in a way that wasn’t vague. At the University of Michigan, where the hate speech code was struck down, the enforcement of the code was used exclusively to try to censor African-Americans and Latinos, two of the groups of people it was intended to help protect, he said. 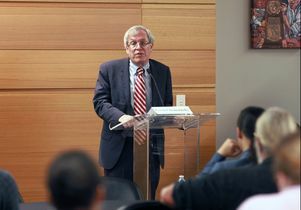 As he concluded his opening remarks, Chemerinsky noted that free speech on a campus can be restricted if it would be disruptive to classes or for safety. He recommended that controversial speakers be scheduled only in auditoriums where attendees are required to have tickets and go through security checkpoints. Volokh, a noted First Amendment scholar, followed Chemerinsky and explained his epistemological argument for a very permissive interpretation of the First Amendment. He said that forbidding speech we disagree with can lead to weaker support for ideas we agree with, like equality. Volokh said that at a university especially, all ideas should be subjected to challenge and be improved based on that scrutiny. “You can only, honestly, seriously find [ideas] credible if you know that you can constantly be challenged and it survives those challenges,” Volokh said. Noble, who has done extensive research on free speech and technology, steered the conversation from whether the text of the law properly balances protections for the exchange of ideas with protecting people’s safety toward examining how laws have historically been direct tools of oppression. Noble also shared research showing that the internet has provided greater platforms for the free speech of radicalized young white men than for people who oppose anti-Semitism and racism, and advocate for feminism and human rights. When the conversation turned to the “marketplace of ideas,” Yaroslavsky recounted his first trip to visit relatives in the Soviet Union when he was a UCLA sophomore in 1968. When speaking to his aunt in the public square in Moscow she declined to answer his question about living in the Soviet Union saying “the walls have ears.” The incident sparked his vigorous commitment to free speech, but recent events have made him afraid. “In my entire life I have never heard on the evening news the phrase ‘Jews will not replace us’ [and] ‘blood and soil,’” said Yaroslavsky, describing the news reports after the violence this year in Charlottesville, Virginia. Segura said he came to the discussion to represent the perspective of a dispassionate social scientist and dean, but then opened explaining why he was going to abandon that plan. “If any of you in here are not lawyers or law students I want you to please make the gag sign every time you hear a lawyer … refer to ‘the law’ as if it came from God,” Segura said. “There is no ‘the law.’ There is the current interpretation of a 220-year-old document written by straight white men and in large measure interpreted by straight white men. The dean of the Luskin school said that the so-called alt-right’s attempts to speak are performative provocations designed more to force schools to spend money on security than engage in a genuine exchange of ideas. And rather than banning speakers like this, Segura offered his two-pronged strategy for when people who espouse hateful ideas speak on campus — organize a protest or ignore them because if no one paid attention these speakers would stop coming to colleges. “That’s the strategic response for people who actually want human dignity to be front and center on campuses,” Segura said.